To make your eyelash brand completely different from your competitors, you need your eyelash company to choose a new marketing strategy. When they think about this, they will start on their own brand and eyelash packaging box. Do you care about your eyelash brand? Want to make your ordinary eyelashes special? 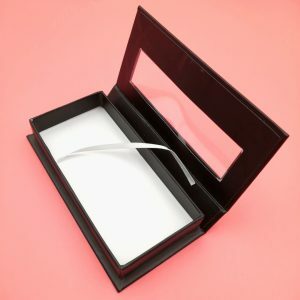 Nowadays, the role of the eyelash box is not only to protect the eyelashes, but also a great way to promote the brand. 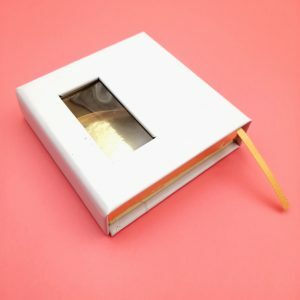 You can also get extra benefits when designing eyelash boxes here. Every business wants to customize a distinctive box for their fake eyelashes. We demand ourselves with high quality standards and print on the box to meet the requirements of the eyelash manufacturer. The custom eyelash carton should have a striking design made of sturdy material. There are so many eyelash brands on the market. To stand out from the crowd, you must have a high quality, personalized eyelash box. Wl is one of the most experienced eyelash printers and eyelash box suppliers in China. We are committed to providing beautiful eyelash packaging for our large, high-quality customer base. We offer our customers a tailor-made design that gives you the perfect lash box. 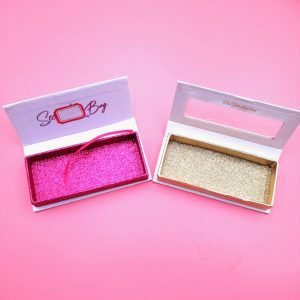 Our experienced staff will guide you on how to customize the advanced eyelash packaging box, and our professional designers will provide you with the perfect design. We will provide you with 3D images to suit your design, and until you are completely satisfied with our design, we will start producing your eyelash box and will complete the eyelash box in the shortest turnaround time. And send it to you. Cosmetics companies produce eye beauty products in the form of eyeliner, mascara and growth eyelashes. We offer you a stand-alone display box in a variety of colors. 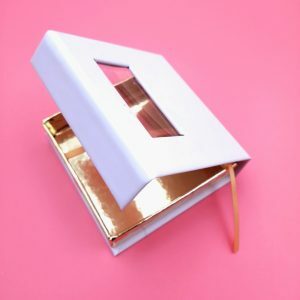 You can add a die-cut window, gold foil/silver foil, embossing and ribbon or bow to add extra features to your fake eyelashes. 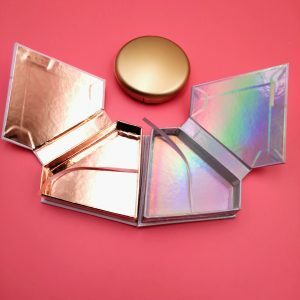 WL Packaging offers private custom eyelash box manufacturing services to meet the needs of the cosmetics industry, offering new and creative eyelash boxes that make your eyelash products more attractive. Order to get specific information on custom eyelash boxes. From our beautiful custom eyelash boxes, you can get greater sales benefits and choose the best box for your brand. You can choose from special shapes and special inserts and dividers of different sizes. You can use a box with a transparent window to show the true shape of the eyelashes. We tend to process short-term orders and deliver them in the shortest possible time. We can also deliver home. If you have a new design, please let us know and we will turn it into a real product. 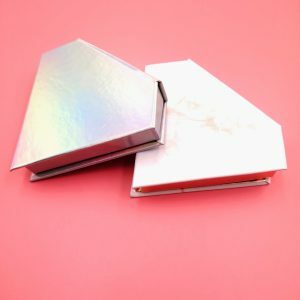 In addition to high quality print eyelash boxes, we also use 100% environmentally friendly, recyclable box materials. We are professional and slow down the pace of global warming by recycling boxes. Please feel free to email wellalashes@gmail.com.com and learn more about custom boxes. You can also call us to +86 18053527998 contact us to place an order. We will do it to your satisfaction. You can also chat with us in real time to learn about our standards and fees.